Most people would consider carpets worse for those with allergies. After all, it collects so much dirt and dust that just lingers in the carpet unless cleaned properly. However, that dust and dirt or pet dander, which can be a major trigger for asthmatics and those with allergies, is collected in the carpet as opposed to kicked up into the air. With hardwood and laminate flooring, there is nowhere for the dust to go except the air. Dust and dirt can be kicked back up into the air as you walk on carpet; however, most carpet is made from synthetic sources such as nylon and polyester. These synthetic fibers are not a good place for allergens such as mold and mildew to thrive like a more natural fiber such as wool would be. 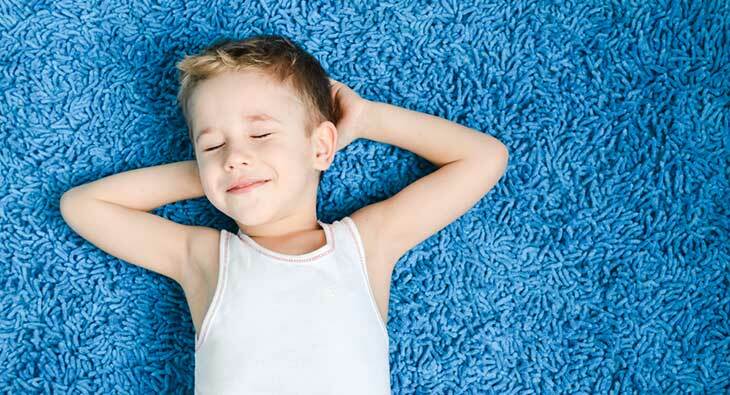 The best rug and carpet choices for those with allergies and asthma is usually nylon. You also do not want a long shaggy carpet as this will collect more dirt and dust. Another important aspect of selecting a carpet is paying attention to the chemicals used to treat them before they are sold. Chemicals such as formaldehyde and benzene are often used to treat carpets and can emit chemicals into the air over time. However, having some treatments on the carpet will help suppress the growth of mold and mildew, which can be beneficial to those with allergies and asthma. Look for carpets and rugs that are Green Label Plus. This ensures that the carpet, adhesive and cushions have been tested and proven to have the lowest chemical emissions on the market. When it comes to any kind of flooring, from carpet to hardwood, frequent cleaning is important. For carpet, get a vacuum with a HEPA filter to help rid it of allergens. HEPA vacuums may be more expensive, but is well worth the price of relief. If you do have hardwood flooring, finding an area rug that is good for allergies and asthma is important. Below are 5 best options we found. 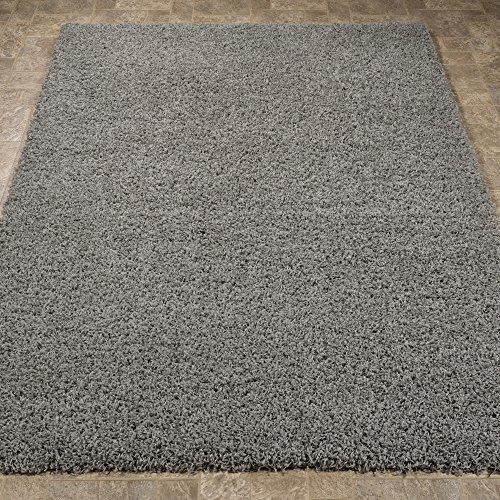 This contemporary style rug comes in many colors including: Dark red, gray, purple, sage blue and terracotta. Demensions are 5.3 inches by 7 feet, and is ideal for a small living room, but it also comes in other sizes. It is made of 100% Polypropylene, a type of plastic fiber used in many different types of rugs and clothing. As a synthetic fiber, polypropylene would be ideal for those with allergies, as it would inhibit mold growth more than a natural fiber. With a nice design and many different colors, the Ottomanson Paterson Collection rugs would be nice in any room. However, if you want a thick soft rug, it may not be what you want. At about the same price as the Ottomanson Paterson Collection, the Sweet Home shag rug is a little bit smaller. It is also made of 100% polypropylene. It is a plain colored rug with no design; however, it comes is several more colors than the Ottomanson. It also comes in several sizes for any size room. Some people found the rug smelled funny like chemicals. This could indicate a harsh chemical treatment that would not be healthy for those with allergies or asthma. It is also shaggy, which will hold more allergens than a less shaggy, more tightly woven rug. The Sweet Home Stores shag rug may not be as thin as the Ottomanson; however, it may house more allergens due to its shagginess. However, it is also easy to vacuum. It is also made of synthetic fibers. Some people complain about chemical smell. It also does not have a no-slip backing, which could mean an extra purchase of a no-slip mat. With an oriental, vintage look, the safavieh Adriondack would like nice in your home. It comes in different colors and sizes. It is not non-slip and will require a rubber non-slip mat underneath. Some people complain about the colors not being quite what the pictures indicate. The Safavieh Adirondack Collection has a nice pattern in the style of oriental rugs. It is made of synthetic fibers and easy to steam clean or vacuum. It is not non-slip and may require purchase of extra non-slip mat. 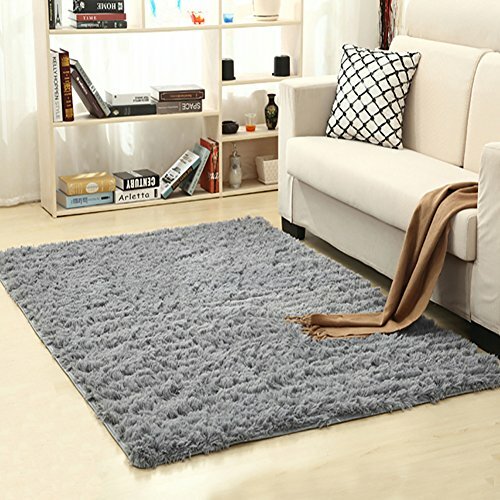 The LOCHAS rug is fluffy and soft. It would be inviting to sit or lay on; however, probably not so great for those with allergies and asthma to sit or lay on. It is made of synthetic velvet, which gives it a soft texture. There is a sponge interlay and plastic bottom to make it non-slip. This rug would not be good to vacuum, since it could get stuck in the vacuum. It is also not recommended to machine wash this type of rug. Hand washing and spot cleaning is best. The rug is too thin, although it is soft. 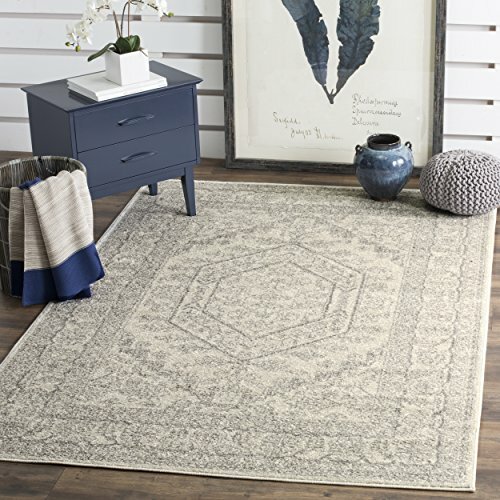 Although it is soft, the LOCHAS rug does not seem to be thick enough for many buyers. The long fibers could hide allergens, and the rug can’t be vacuumed; therefore, allergens will likely not be removed properly. Hand washing will not remove all the dirt and dust from the rug, and the product description recommends not machine washing. The nuLOOM is made of 100% polypropylene with a latex backing. It only comes in a blue and cream color. It is quite a bit more expensive than the other rugs on this list. It is easy to vacuum and spot clean. The latex does not prevent slipping, so you would need a some kind of rubber mat. Also probably should not purchase this if you have a latex allergy. 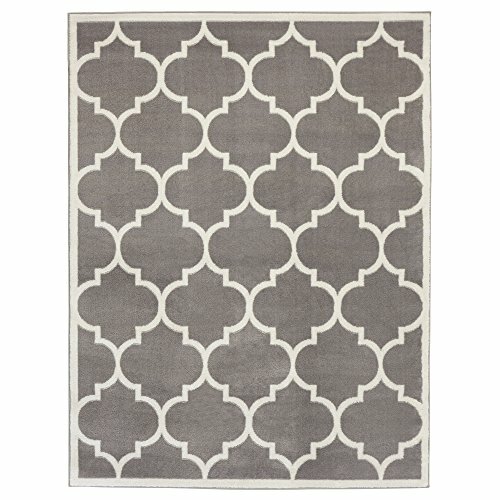 With many great reviews, this rug’s bad reviews are mostly about the color and pattern. 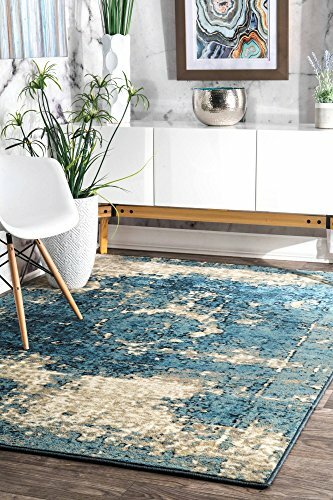 The nuLOOM rug seems to be the best among five rugs listed above. Some people are not happy with the colors, saying it looks like a digital print. It is made with synthetic fibers and is not thick, which is great for those with allergies and asthma. It is also easy to clean and vacuum. It contains latex, which may be harmful to those with latex allergies. My choice would be the Safavieh Adirondack Collection oriental style rug. At a great price, it is made from synthetic fibers. You can vacuum and steam clean it, and it looks classy like a more expensive oriental rug. If price were no hindrance, then the nuLOOm would be the next choice. Higher quality, it is also easy to clean and vacuum, and would look nice in any room. I would avoid the LOCHAS. It is not easily washable and seems to thick and shaggy for those with allergies and asthma.